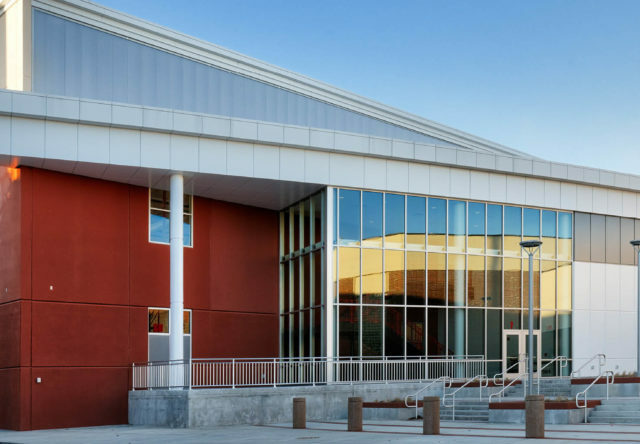 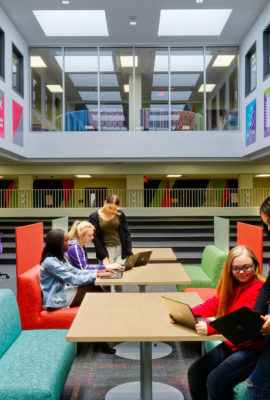 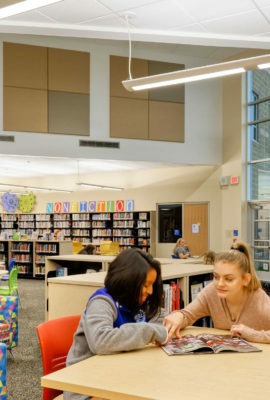 Designed to benefit as many students and community members as possible, the new Center Grove Student Activity Center (SAC) has something for everyone. 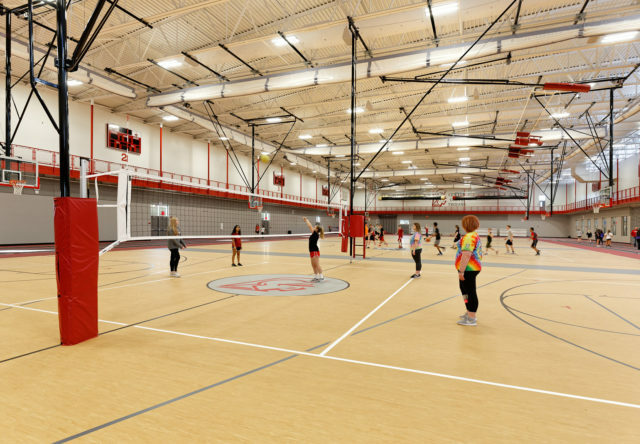 Flexible design concepts allow the SAC to support a limitless range of activities—from track, weight training and fitness programs to band practice, robotics competitions and community recreation. 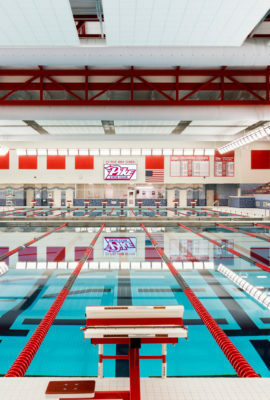 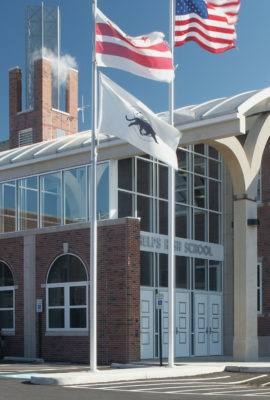 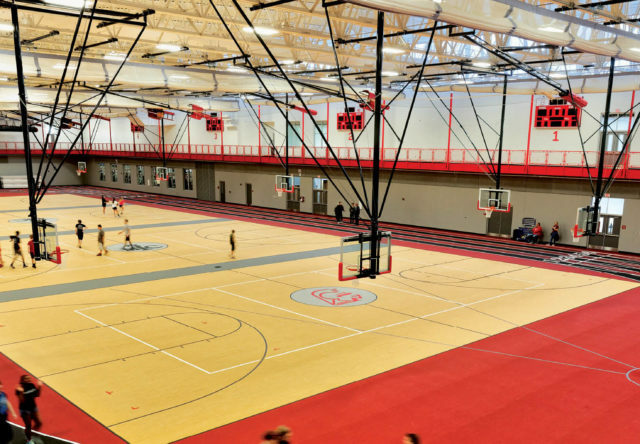 The facility features four basketball/volleyball courts, a weight room and the first 200-meter indoor track in an Indiana K-12 school. 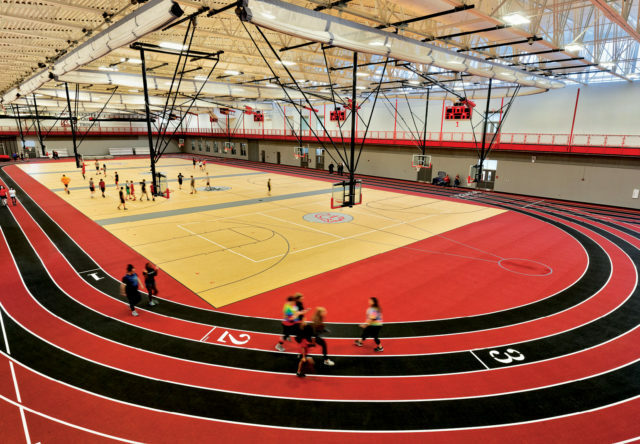 The SAC addition features a 200-meter indoor track, four basketball/volleyball courts and spaces for wrestling. 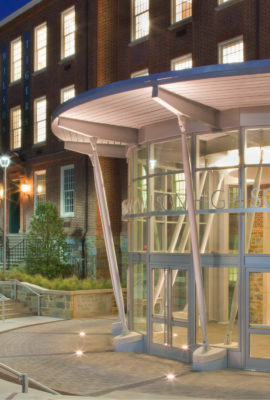 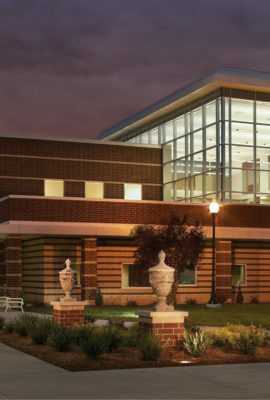 The SAC entrance creates a dynamic new presence on the south side of campus. 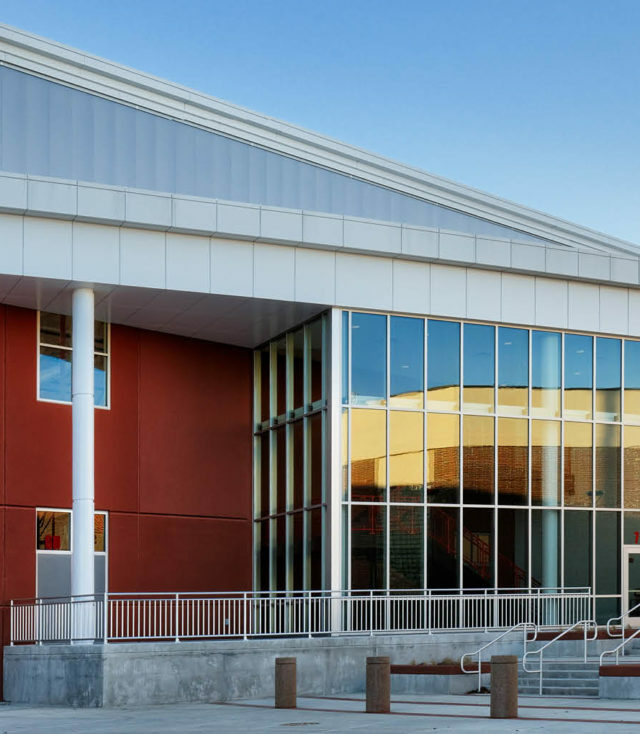 The SAC's outdoor plaza establishes a new community gathering spot between the high school and the football stadium. 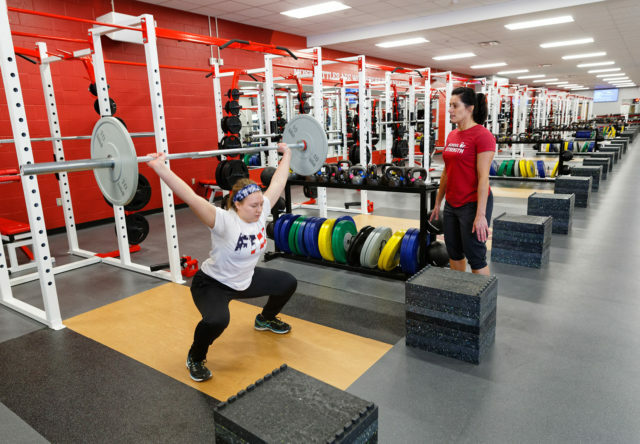 Students are safer, now that the formerly cramped weight room is expanded to 8,000 square feet. 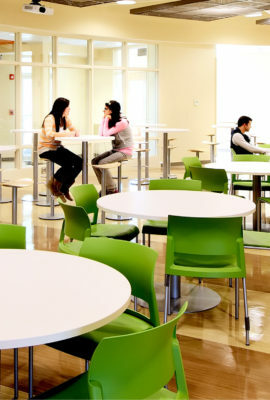 Additionally, the SAC gives athletes and spectators a place to shelter in case of severe weather during outdoor events. 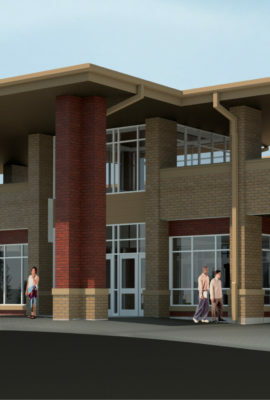 An elevated walking track is open to the community during public hours. 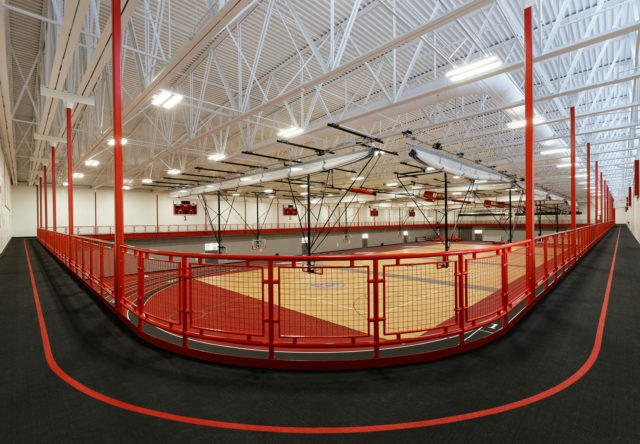 Retractable goals and netting allow for maximum flexibility in the space. 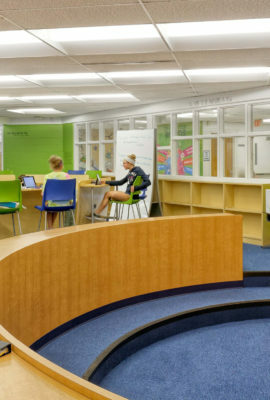 The synthetic floor surface accommodates any program, no matter how rough and tumble. 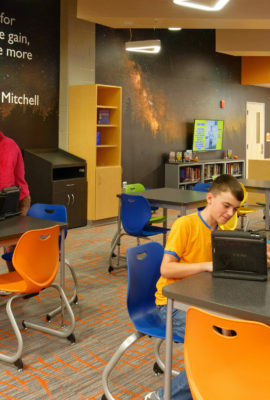 By listening to everyone from the Athletic Director to the robotics team, we were able to design an activity center that works for all students.